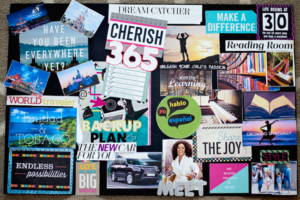 Also known as Treasure Mapping, Vision Boards, Goal Boards etc…If you don’t have a cork board you can use poster board or a sketch book. Below is what Jayme Barrett from Feng Shui living had to say about Manifestation Boards. You must place what you want to create in the foreground of your mind. 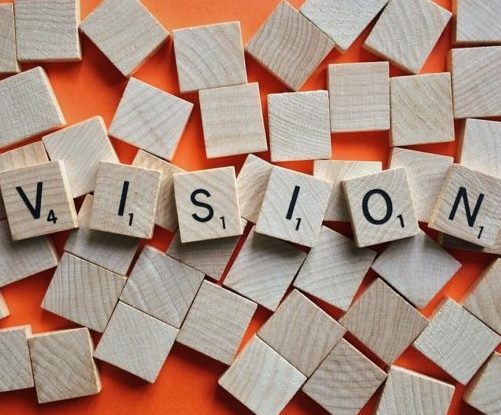 By placing your dreams, goals, and desires in full view within your environment, you are forced to focus on them rather than on a blank or negative canvas. In essence, you will be painting your own picture of happiness and success and placing yourself at the center of the picture. Your dreams need to become anchored in reality. So many people have empty wishes and goals that they never act upon. It’s your life and you need to take action. An effective way to bring your wishes to life is to make a Manifestation Board. A Manifestation Board is a cork-board, poster board or sketch book. This is where you add a collection of beautiful and inspirational pictures from magazines, sayings, quotes, pictures of famous people, postcards, and drawings depicting your desires for a specific area of your life. Displaying your wishes and goals in one place provides you with a whole picture. Each manifestation board is a visual representation, a blueprint for the success you want your life to emulate. You can create separate collages for each area of your life and hang them in the corresponding energy center. If you prefer, make only one board that contains all of your wishes for every area of your life. When you place the board where you can see it every day. This helps you to create a direct relationship with your goals. It will remind you of your life plan and keep you motivated to move in the right direction. Simultaneously, it creates an “energetic blueprint” which the universe starts to put into motion. As you look at the board every day, the images become imprinted both consciously and subconsciously. You become what you focus on. Create a storyboard for your life. When you are going through magazines and clipping out visual representations of your dream houses, vacations, careers, people to emulate and ways to contribute, you are story-boarding your life. In the movie industry, storyboard artists are hired to draw how each scene will look. It includes the actors, scenery, cars, props and buildings. In essence, you are creating a storyboard for your life. You know the saying, “Be careful what you wish for!” This is an important concept to grasp when creating the right energy for manifestation. Here’s the tip. When you are writing your affirmations and clipping pictures, make sure that you are accurately expressing and representing what you want. If you want to meet and marry a healthy man, do not put up a picture of the “Marlboro Man” or a guy with a beer in his hand. Be very specific. Gratitude Attitude: Why 21 days of gratitude is a great start! DON’T HIT PAUSE: Reflect, Refresh, Recharge! Are you a GOAL MEDALIST? This is a simple self-assessment tool designed to help you determine your current baseline and to track your progress toward your goals!